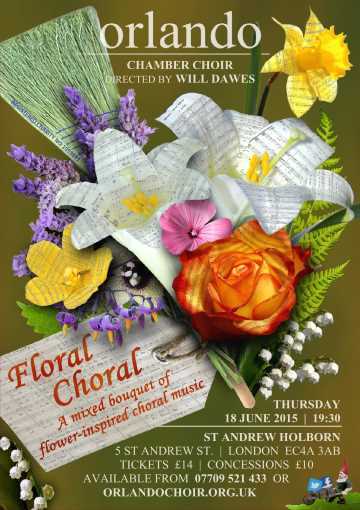 Orlando Chamber Choir presents a mixed bouquet of flower-inspired choral music. Palestrina's magnificent Missa Sicut lilium blossoms at the core of the programme. It is interwoven with multi-coloured floral choral works by Britten, Whitacre, Dufay and Clemens non Papa.